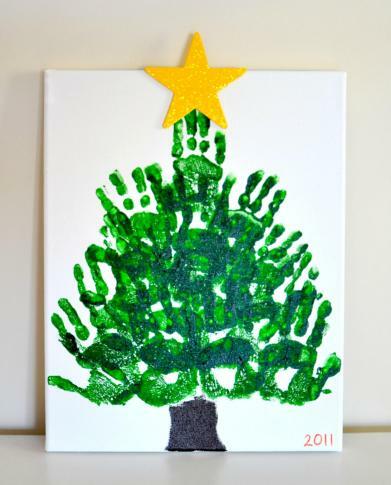 This Handprint Christmas Tree keepsake on canvas was my absolute favorite Christmas decoration to unpack this year!! A former teacher turned stay at home mom to two preschool aged children. Creator (and writer) at In Lieu of Preschool and Parent Teach Play. Currently publishing my first children's picture book! I’m planning on making this for the grandparents for Christmas! This looks fantastic! We can’t wait to try it. Just a thought: Acrylic is not the healthiest material to work with. It contains ammonia and formaldehyde. We are planning to try tempera paint and seal it with shellac.